We have two brochures that outline our club and its facilities as well as maps of ski and snowshoe trails. Check them out!! They are available as printed documents in the Wax Cabin, Jean Paulson Lodge, at the Visitor Information Center (Chamber of Commerce) and Lakes Multiplex. 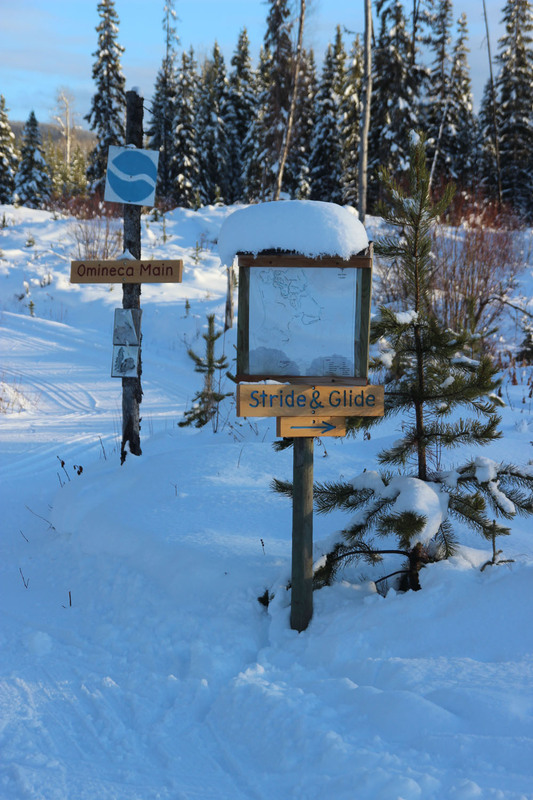 The Omineca Ski Club maintains over 26 km of groomed trails with every level of difficulty. We also periodically groom trails outside of our recreational area in the adjacent Burns Lake Community Forest. When the Spud system and Cedar routes are included there are about 45 km of groomed trails. ‘You are Here’ maps are posted throughout our trails (within the recreational area). Maps can be downloaded from our website or some hard copies can be found in the waxing cabin (or posted on the front wall outside). All of our trails are signed and named. Our grooming protocol defines the priorities that will be followed after a snowfall. All of our grooming machines are run by volunteers under the direction of Matt Nealis. Hats off to everyone who takes some of their personal time to keep the trails ready for happy skiers!! 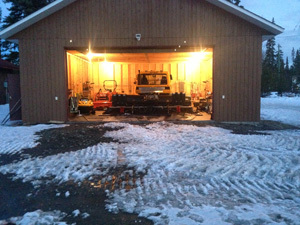 We maintain three different machines in our grooming program. The newest is the Bombi – with the skill of our operators and the upgrades (widening) to most of our trails, we can now get most of the system of trails completed by this one machine in a very efficient time period. It also works as a great snowplow for the parking lot and road. The Piston Bullie went through a major overhaul during the 2012/13 season and is used as our back-up machine. It is still required for grooming some of the narrow trails such as Twister and the dog trails. 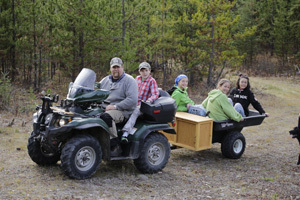 The snowmobile, with its upgraded trailer hitch in 2014, is a very versatile tool to get trails done quickly when the other machines are not available. It was used extensively on the dog trails over the 2013/14 season. 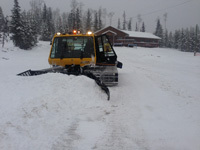 During the off season, there are scheduled workbees for members to help in keeping the trails ready for the ski season. Notifications of these workbees are usually sent out by email or will be posted on the website and Facebook. If it weren’t for the efforts of all the volunteers of the club, much of this work would not get completed. We also have a tractor, donated by the Williams Family, that is used to keep the grass mowed in both the stadium area and on the trails. Thanks to Sean Broadworth, the current executive member in charge for organizing the events and keeping track of where all the blowdown has happened. If you want to spend some time working on any trails give Sean a call and he can set you up with a locale.